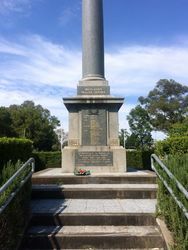 Maitland Fallen Soldiers Memorial was erected in memory of those who died in service or were killed in action during World War One. 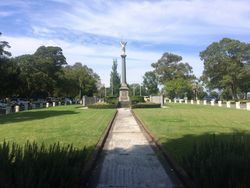 The foundation stone for the memorial was laid on the 11th November 1922 and the memorial was unveiled on Anzac Day 1923. 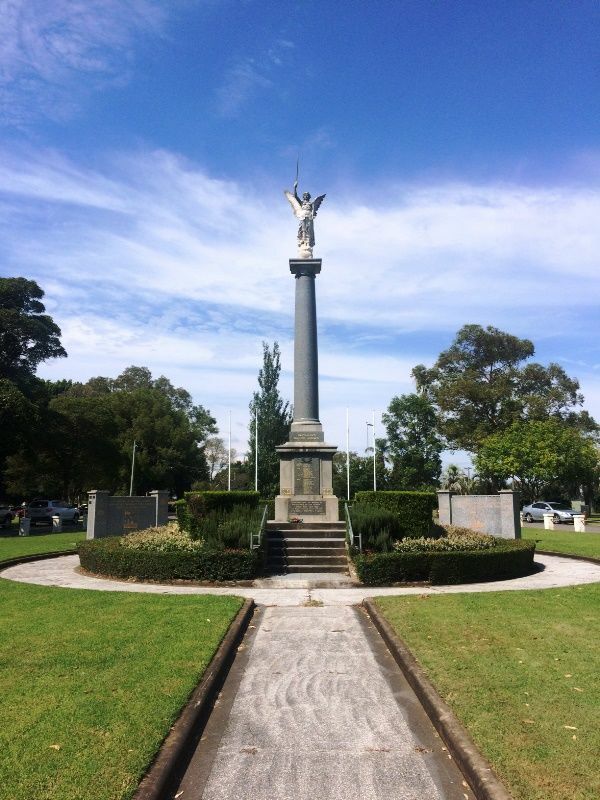 The memorial consists of a square base with a tall slightly tapered column with a winged female statue at the top. 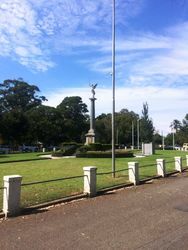 The base and column is of a highly polished dark gray stone, while the statue is of white marble. 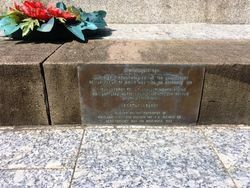 Memorial walls were placed to the left and right behind the monument to commemorate those who served in later wars and conflicts in which Australia has been involved. 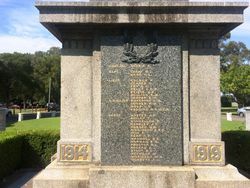 The work of erecting the West Maitland memorial to fallen soldiers is now in hand, and will be expedited. 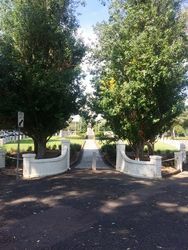 The site is in the north-west corner of the West Maitland Park, with a very fine approach from the Gillies memorial gates. The foundations, already made, are of concrete. and will carry a massive trachyte base three feet above ground level, with stone steps leading from the level. The die, 5ft 3in square, with four tablets to carry the inscribed names, will carry a column towering 52ft above the level, and surmounted by an Angel of Peace. 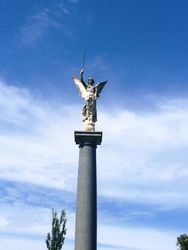 The die and column will be of granite, and the figure of Carara marble. Newcastle Morning Herald and Miners' Advocate (NSW), 29 September 1922. 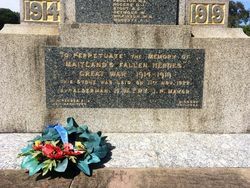 TO PERPETUATE The MEMORY OF "MAITLAND`S FALLEN HEROES." 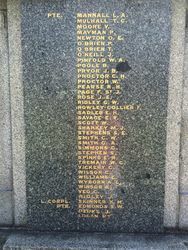 This Stone Was Laid on 11th Nov. 1922 By ALDERMAN H.W. 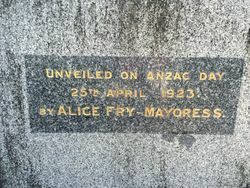 FRY J.P., MAYOR. 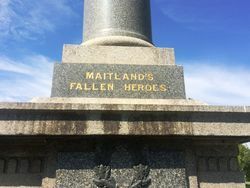 UNVEILED BY THE PRESIDENT OF MAITLAND R.S.L. 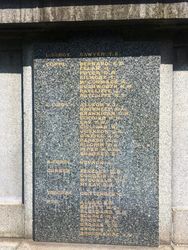 SUB-BRANCH MR. E.A.BULMER ON REMEMBRANCE DAY 11TH NOVEMBER 1993.